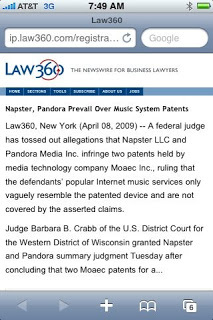 For those Pandora fans out there, I am pleased to report that our law firm represents Pandora in this case. If any of the media who track my blog would like to speak to the attorneys who handle this case, let me know and I can put you in touch with them. More details to follow.